Don't Sign Anything unless your agent signs this! This Homesellers’ Protection Guarantee has been designed following consultation with a legal team and advocates who are committed to consumer protection in real estate. 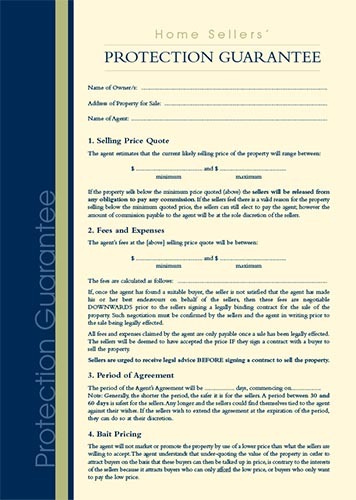 Until improved consumer protection legislation comes into effect, you are welcome to use this Jenman APPROVED Home Sellers’ Protection Guarantee without cost or obligation to The Jenman Group.